The Sun Salutation, designed by Nikola Basic, is a vast circle of solar panels paved into the ground. 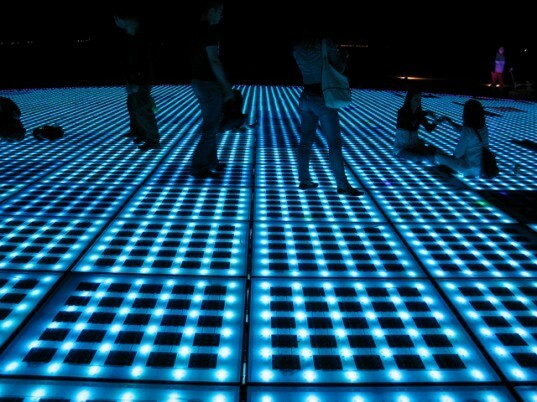 At night, the panels light up in an array of patterned lights that flash in dancing sequences, attracting huge throngs of visitors to the Croatian seafront. 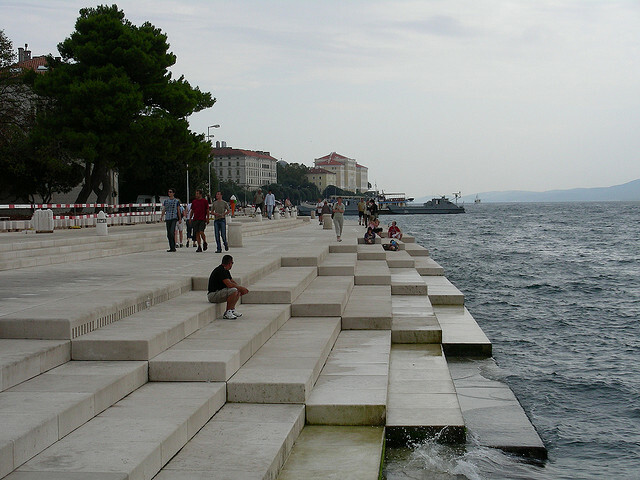 The Sea Organ is another installation by Nikola Basic that is built into the marble steps of the shore front, where it turns the constant lapping of the waves into a calming series of sounds like a whale song. The Sea Organ adds to the simple beauty of the renovated seafront, which serves as the bridge between the open sea and the city’s public space. The 35 pipe organs emit magical sounds as active swimmers and playful teenagers dive from the coast into the open sea. 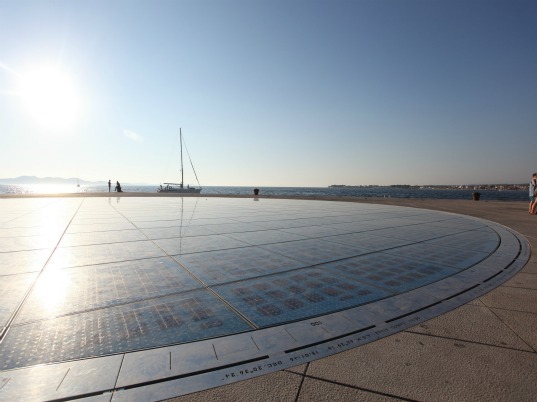 The Sun Salutation, designed by Nikola Basic, is a vast circle of solar panels paved into the ground. The Sea Organ is another installation by Nikola Basic that is built into the marble steps of the shorefront, where it turns the constant lapping of the waves into a calming series of sounds like a whale song. The 35 pipe organs emit magical sounds as active swimmers and playful teenagers dive from the coast into the open sea.